As a single father, you may feel like you have the weight of the world on your shoulders. This great responsibility can actually be considered a gift in your life. 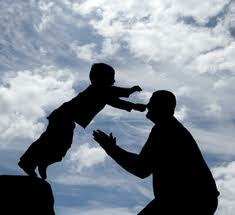 You have an opportunity to prove to your children that you are a wonderful and loving father. You have the opportunity to show your kids that you will be there for them no matter what and can inspire them to achieve their dreams in life with confidence. 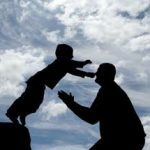 To be a successful single father, the key is to have a positive outlook on life and show your kids how to achieve their own ambitions. Perhaps the reason for why you are a single father are rather depressing. Maybe your beautiful wife passed away a few years ago. Maybe your relationship ended in a severe divorce. Whatever the scenario is, you can use it to teach your kids how to take positive lessons out of tragic and hurtful experiences. This is the foundational belief that you should have as you parent your children. You should believe that you can overcome a negative past and that the past does not define who you are. The reason this is so important for you to understand and believe is because your children are influenced by the way you perceive the events that arise in life. Your children will learn how to respond to life in the way that you have responded to situations in your own life. If you handle a difficult situation with grace and understanding, rather than anger, then your children will also learn how to approach life with grace and understanding. The second way that you can be a successful father is by teaching your kids to have goals at a young age. Goals give us something to constantly work toward in life. Goals also have a positive effect in distracting us from negative thoughts and feelings. For children, setting the goal to excel in school or make the sports teams at school can set the child up for success in life. Encourage your kids when they do succeed in school and have worked hard to reach that point. When you acknowledge positive successes in your children, they will feel motivated to achieve an even higher goal in their lives. This will allow your kids to continually be reaching for success in life. It is also important for you to spend time with your children. While you may teach your children to have a solid work ethic and achieve their goals, be careful not to be too hard on them. You do not want your children to ultimately resent you in life. To avoid resentment, be sure to spend quality time with your children that is away from work and school. Schedule a fun vacation for you and your children. Take your kids to the movies every now and then. Have a movie night at home. Play basketball with your kids. These are all examples of ways that you can show your kids how much you love them. At the end of the day, kids want to know that they have someone they can depend on and who will always be there to protect and love them. You can be this person by giving them your love and support at all times. Teaching your kids about the value of a dollar is another way you can be a successful parent. Be sure to teach your kids how to manage their money at a young age. Being able to manage money and avoid taking on too much debt is a skill that will serve children for the rest of their lives. You can create ways to teach children about money by setting up a family 401(k) plan or giving them a weekly allowance. Being a successful father takes practice and time. Even if you face a few challenges in the beginning of your parenting experience, just know that your kids will come to respect you over time.